We have been in business for 8 years. We are a small Bridal Boutique and Salon and offer the finest in wedding dresses, bridesmaids, mother of the occasion, cocktail, bridal accessories to make every Bride look stunning on her wedding day, including her family and bridal group. Give us a call (831)626-1287 for your appointment and visit our website at www.collezionefortuna.com. 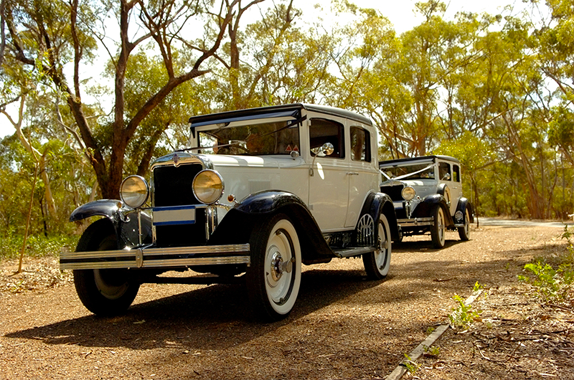 Private appointments are always available and we recommend them. Receive personal attention with the Owner, Consultant and the Buyer for 2 hours uninterrupted ..that's right my attention to you is undivided! Price range of Bridal Gowns-$1500-$5000. Since we just joined Wedding.com, please go to our website at www.collezionefortuna.com and check out all of our Testimonials and our "Bridal Gallery". There is no other Bridal Boutique that provides the "VIP Bridal Boutique Shopping Experience" and our Brides always leave happy and refer others to us. We look forward working with you! Brides receive 10% off their order on all advertised Trunk shows. Please provide us with your information so we can contact you and include you in the fun and help you find your dream dress. Currently $500 OFF select wedding dresses in stock. You have a fabulous selection available to you. All Bridesmaids in one Bridal party receive 10% OFF their Bridesmaids dresses. All dresses must be ordered at the same time to receive the discount. We include one free steaming and pressing of all dresses before they leave the store. We will also steam and press your wedding dress. You don't have to buy it from us. Give us plenty of notice and we will have it steamed, pressed ready to go..prices start at $49.00. Please bring your own garment bag. After hour appointments. are always welcome however...to reserve your appointment after normal Business hours, after 6PM-9PM, a deposit in the amount of $300 is charged to hold the appointment. We always apply this fee to the cost of your wedding dress purchase, and is non-fundable or transferrable. All items are priced as marked. We will match another competitors prices(just provide price quote on their receipt) We do not PRICE MATCH ANY PRICES ON THE INTERNET, as these are often misleading..and beware..they are often from overseas websites and the quality of the garmet never comes close to what we have to offer. Questions? Feel free to call us (831)626-1287. We take pride in out Bridal Boutique, and we do care of the services we provide to all of customers. "I had planned to do lots of dress shopping and my mom happened to be in town so I decided to start with Collezione Fortuna Fashion Boutique since it was in my home town and I had heard she had great stuff. I was going to do another dress shopping day with my friends from out of town a couple weeks later. I made an appointment with Cathy and went in. She even came in on one of her days off just for me because I have a very busy schedule. When I got there I gave her ideas of what I was looking for and she helped me go through some of the dresses and had me try them on. I loved every one I tried on and when I got to the fourth one I knew it was THE one! She took pictures for me and made it a great experience for me. I bought my dress that day and I was actually allowed to walk out with the dress since it was a one of a kind! I thought this was unreal because I was always told it takes 6-8 months for a dress to be ordered and shipped! But that day I walked out one happy bride-to-be! The owner is very prompt and gets back to you right away when you have question about anything! Thank you for all your help and I look forward to doing business with you in the future!" "My experience in dealing with Cathy and her staff was excellent. Her prices were very reasonable and she had good selection. She was helpful and very easy to work with, she even offered to meet with me on her day off. 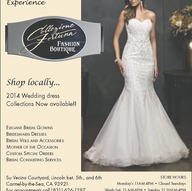 I would highly recommend her bridal/dress shop to my friends and family." 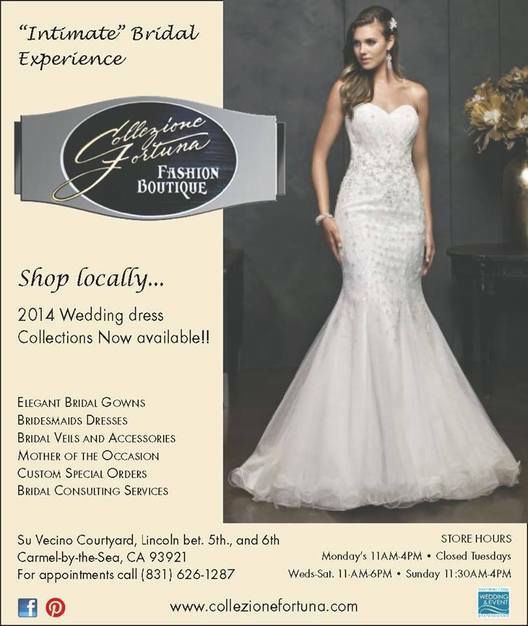 I had the best experience trying on wedding gowns with Cathy at Collezione Fortuna. Having worked in the bridal industry in an LA bridal salon, I know how a bride wants to be treated when shopping for their special dress. Cathy went above and beyond my expectations. She was warm, friendly, and so knowledgeable about wedding gown style, trends, and fit. She had me select gowns to try, then suggested a few I might not have realized were my style and in my budget. She was patient, attentive, and very sweet in urging me to try the gowns I chose and go with my own feelings on which one was right for me. She never tried to suggest a dress I didn't like or "up-sell me" out of my budget range, as so many salons do. Cathy encouraged me to try a dress I had picked but wasn't sure would look good on me (even though I adored the style). I fell in love with the gown the minute I saw myself in it. She just knew! Cathy really knows which dresses flatter which figures, and she has a keen intuition on what a bride is looking for. She provides a relaxed, professional, comfortable experience. I felt as though she really invested her time and energy into assisting me to find exactly what I was looking for. I left happy, and with a gorgeous wedding gown! I can't wait to wear it on the big day. Couture Wedding dresses, Bridemaids dresses, Mother of the Occasion, Bridal Accessories, For an additional fee, Bridal Consultation and Illustration..we will pick out the colors for your wedding and coordinate your Bridesmaids dresses. Private appointments upon request, You work directly with the owner in a relaxed positive setting. 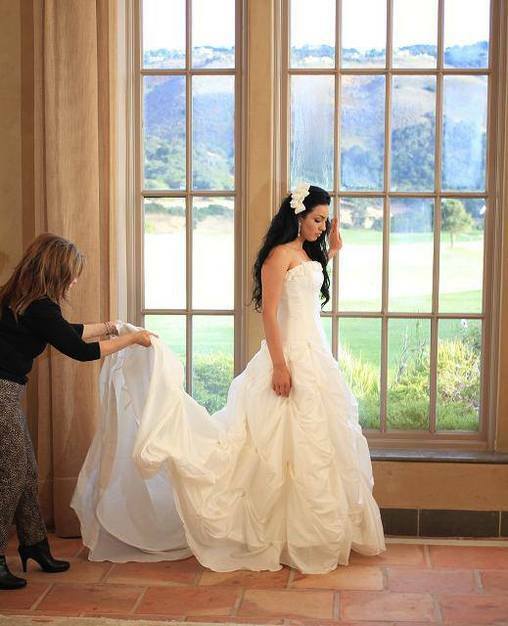 As soon as possible as wedding dresses can take up to 9-10 months to make and arrive as a special order. All deposits are paid in advance/non-refundable. 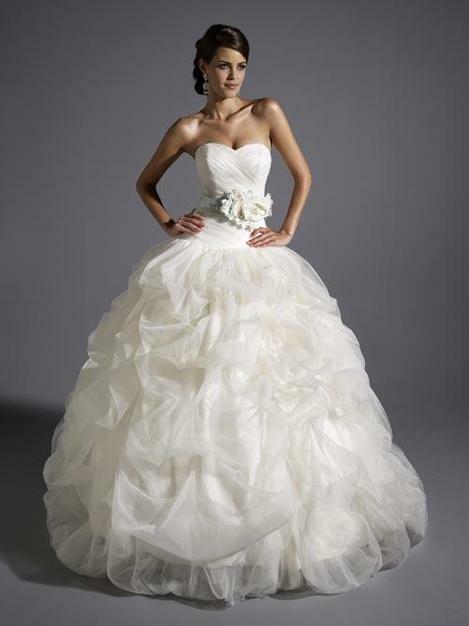 Bridemaids can take 12-14 weeks, and all dresses are paid in full at the time of the order. Wedding dresses from very elegant formal to destination informal. Our collections are deverse, elegant,classic, with a lot of flair. 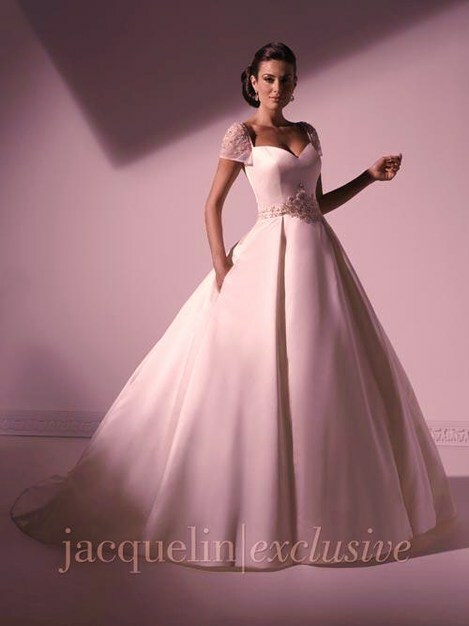 Our gowns are not advertised on the Internet and our exclusively available at out Bridal Boutique. Bridemaids dresses, Mother of the Occasion, Bridal veils and headpieces. Special custom orders take up to 10 months which is not usual. That is why we highly recommend to order your dress as soon as you set your wedding date. The sooner the better! We do have select dresses available for purchase off the rack. Bridesmaids dresses take up to 14 weeks to be made and delivered depending on the manufacturer.